Posted October 17, 2018 by Georgia Fullerton & filed under City News. Labor candidate for Wentworth Tim Murray says he will make revamping eastern suburbs public transport a priority should he win Saturday’s by-election. Ongoing overhauls of bus services around the eastern suburbs over the last few years have had a mixed reception from residents, who have expressed concerns that the bus changes have ultimately resulted in unnecessary and inconvenient travel times. Four routes to Bondi Junction- the 382, X79, X84 and 361 – were cancelled from September 23 this year. There were also changes to the L24, 380 and 381, forcing some passengers to walk more than 100 metres further to a new bus stop. Mr Murray said the cancellation of bus services is unacceptable, “Wentworth is one of the most densely populated places in all of Australia. In a Transport NSW statement, Member for Vaucluse Gabrielle Upton welcomed improvements to the 24/7 service between North Bondi and the City. “The 333 between Bondi Beach and Sydney’s CBD is arguably the most iconic bus route in the world and now it has a world-class service to match,” Ms Upton said. However 333 routes between North Bondi and Dover Heights were withdrawn, with customers now having to change to the 323 and 380 services. 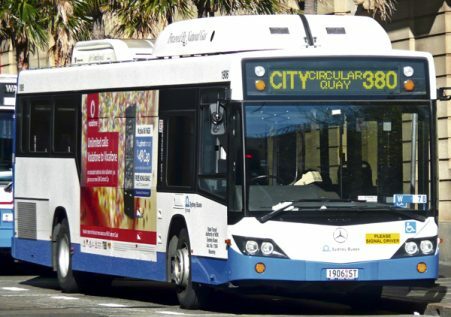 New route 333N has replaced the 380 overnight all stops service between North Bondi and City. Mr Murray said, “I take the bus as much as I can, and I encourage my kids to take the bus. In October 2015, the 327 route from Bondi Junction to the City was cancelled due to the ongoing construction of Sydney’s light rail along George Street. Other routes including the 323 and 326 were also cancelled. Transport NSW said in response to public dissent at the time, “Customers on route 327 requiring accessible services are encouraged to travel towards Bondi Junction and transfer to other bus routes for travel to the city, or train services”. The 327 was replaced by a 328 bus, which now travels in a loop in one direction. At the time, those living in Darling Point and wanting to travel within the suburb raised concerns about excessive travel times. In November 2017, Bronte residents also expressed anger over the cancellation of the 378 beach-to-city bus service. Mr. Murray said, “We need to be increasing services, not decreasing them.